All Season 4WD!! One Owner Vehicle!! Well Maintained!! CARFAX BUYBACK GUARANTEE! 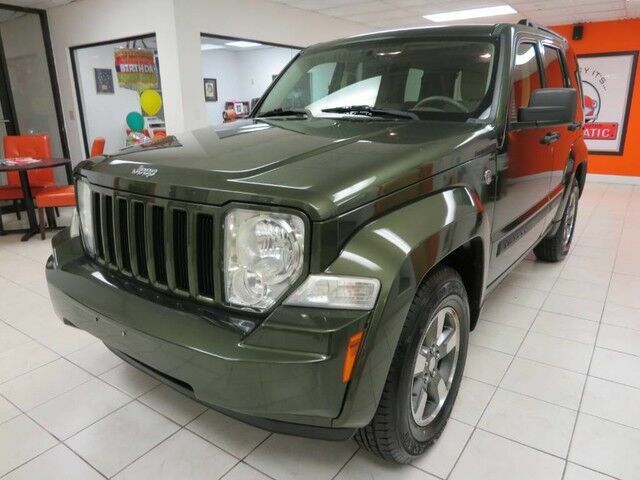 2008 Jeep Liberty Sport, SUV 4WD, 3.7L V6, Green with Tan Interior, features AM/FM CD, Air Conditioning, Command Trac II 4WD, Stability Control System, Power Locks, Windows, Mirrors, Cruise Control, Fog Lights, Folding Rear Seats, and Alloy Wheels. Just Serviced, Automatic Certified!